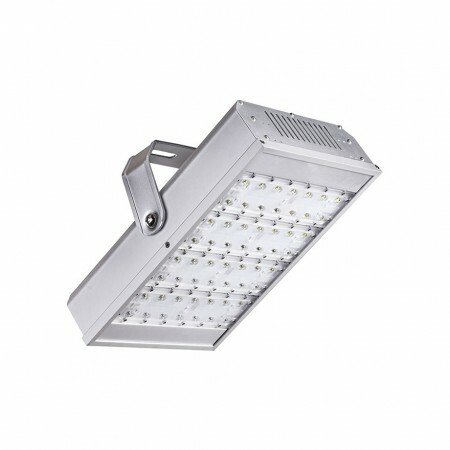 • Automatic dimming when used in combination with 1-10Vdimmable LED drivers or ballasts. 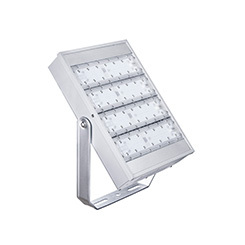 • Built-in adjustable daylight sensor. 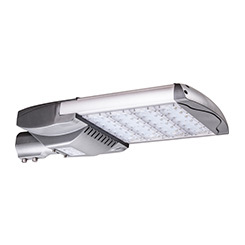 • 1-10V interface can match up with Merrytek stand-alone daylight sensor MS01 and achieve daylight harvesting. 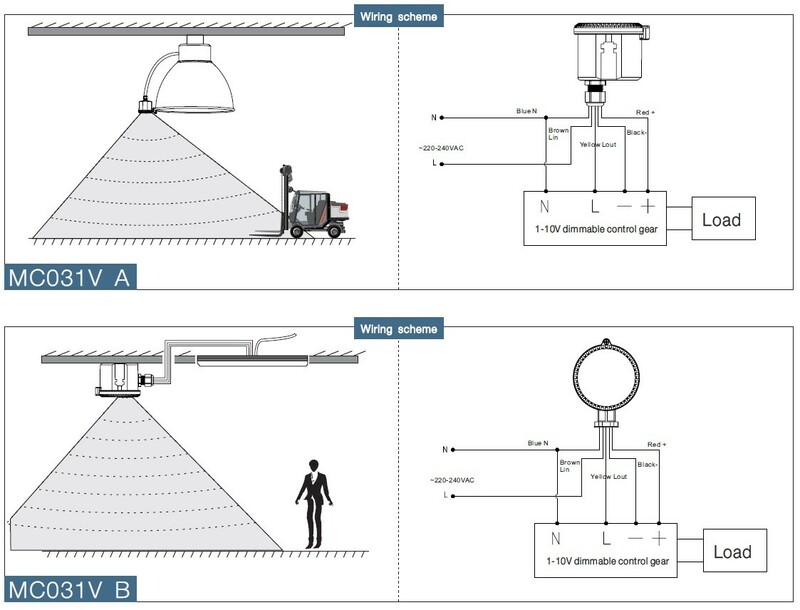 • Detection area, time delay and daylight threshold can be precisely set via DIP switch. 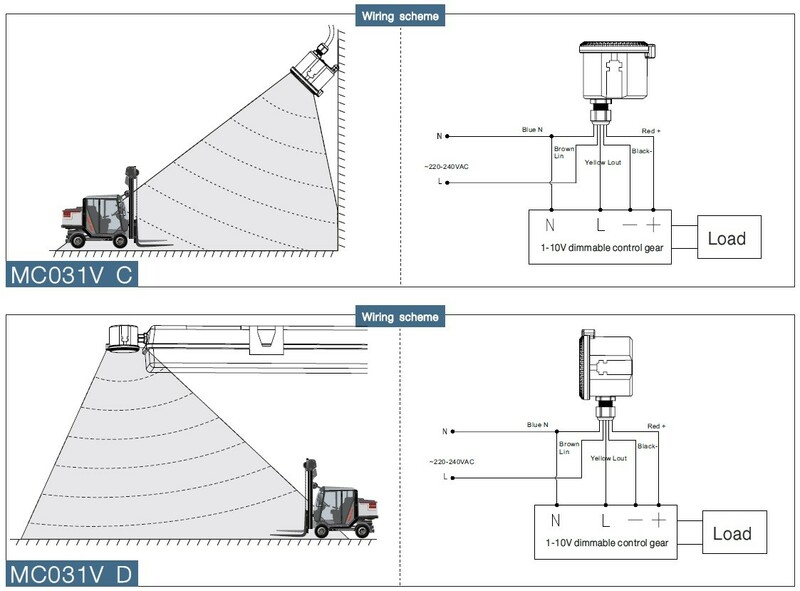 • Wide detection area, range up to 16m in diameter and mounting height 15M Max. suitable for warehouse use. • Optional mounting brackets for different application. 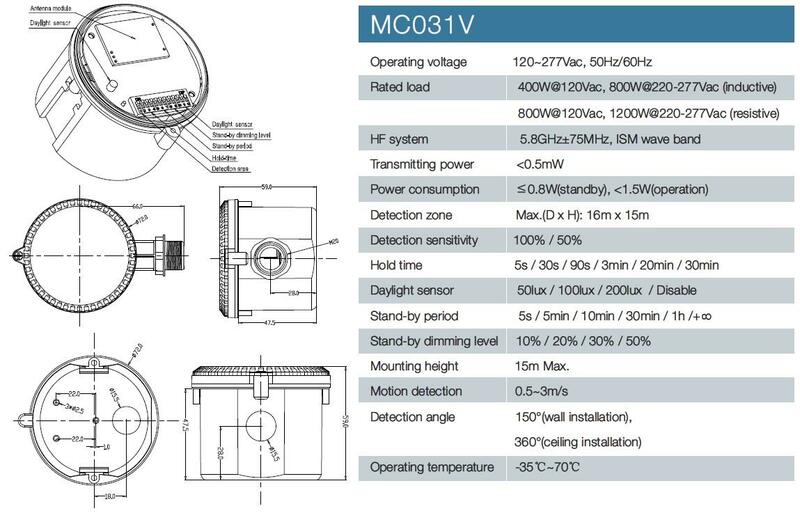 The MC031V sensor is innovative and active motion detectors with HF system 5.8GHz. 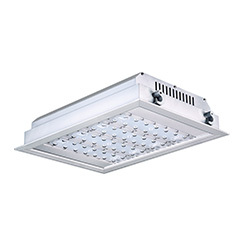 Motion can be detected through plastic, glass and thin non-metal materials. except the higher mounting height 15m Max. 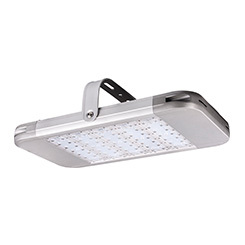 When used in combination with 1-10V dimmable LED drivers and ballasts, the sensors can achieve 3-step dimming function, 100%---> low light--->off. 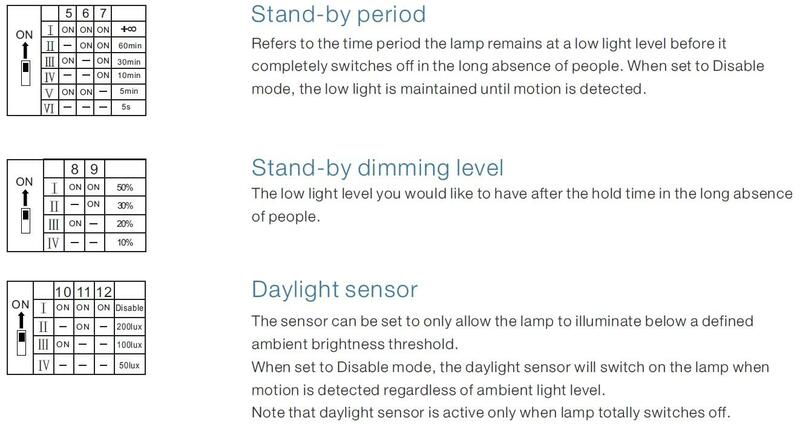 And the sensors build in adjustable daylight sensors, very easy to install and cost-effective.